PalmerHouse Properties & Associates is a full-service residential and commercial real estate brokerage firm that specializes in assisting clients in the purchase and sale of properties throughout the Atlanta metro area. With over 800 professional real estate associates, PalmerHouse Properties combines expertise, resources, and dedication to guide clients through all phases of the real estate process. When you choose PalmerHouse, you can count on personalized service, highly motivated agents, and broad knowledge of local markets. Most importantly, you can count on PalmerHouse Properties to earn your trust and offer mutual respect in our relationships. Leadership in the real estate industry. PalmerHouse is committed to being a leader among our peer firms. We build and support close-knit teams. Our goal is to foster teamwork while preserving the freedom each of us needs to satisfy buyers and sellers and find personal satisfaction. The best from and for PalmerHouse people. Our greatest assets are PalmerHouse people-the sales associates, managers, supporting staff with whom we strive to sustain mutually satisfying, productive and lasting relationships. We place a high priority on their growth, development and job satisfaction, and provide opportunity for reward commensurate with contributions. The improvement of life in the communities we serve. We are personally involved in civic and community affairs that improve the quality of life in our neighborhoods, and will contribute both financial and human resources to achieve these ends. 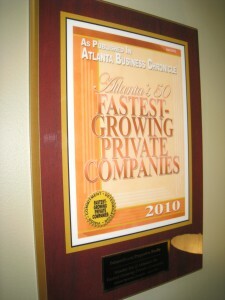 4th Fastest Growing Privately Held Company in the Atlanta Market in 2011 by the Atlanta Business Chronicle. That makes us an Atlanta Pacesetter! We’re an increasingly recognized GA brand. We invite you to let our marketing drive buyers to your home. Residential and commercial real estate brokerage company PalmerHouse Properties Realty LLC’s mission is to offer its real estate agents among the lowest costs in the industry. As a result, the company is approaching 550 agents and is concentrated on providing its agents with the service and tools to contribute to their success. Since its inception, PalmerHouse Properties has at least doubled its agent base and revenue each year and hopes to continue this level of growth for years to come. Through its expansion, the company has been focused on ensuring it has the personnel, systems and processes in place to support its agents. 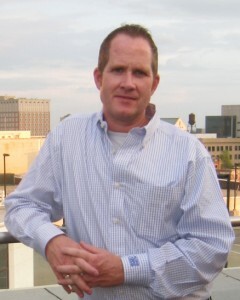 In 2010, PalmerHouse Properties’ expansion was boosted by its merger with Eleven Realty and the addition of its Alpharetta office, adding 110 agents to its roster, including industry leader and Northside broker Joe Ruggles, who joined the firm as president of PalmerHouse’s north office. “We see sustained growth and momentum for PalmerHouse Properties. Our expansion continues unabated thanks to the energetic recruiting, professional and consistent marketing strategies, and by remaining focused on our mission: agent service and client satisfaction,” Palmer said. For More Information on how we can best serve your Midtown Atlanta Real Estate needs, please fill out the online contact form or call us at 770.713.1505. We specialize in Condominium homes in Midtown Atlanta and other In Town areas of Atlanta. If you are planning to Buy or Sell real estate, let us help you explore all the possibilities available to you and help you find just the right home you will LOVE!